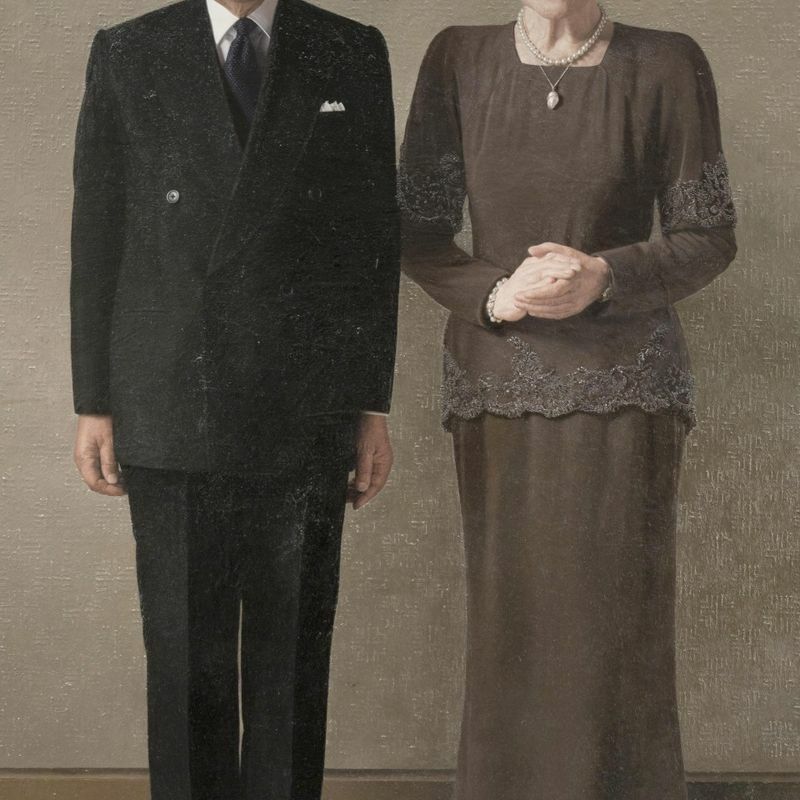 TOKYO - A life-size portrait of Emperor Akihito and Empress Michiko has been painted for the first time since the emperor was enthroned nearly 30 years ago. The emperor is set to abdicate on April 30, 2019, and his elder son Crown Prince Naruhito will take over the throne the following day. The Imperial Household Agency said Monday it has no plans to show the painting to the public. The two-meter square work by Hiroshi Noda, one of Japan's most famous realist painters, has been painted based on a photo taken in 2014 and was brought to the agency in March, it said. The emperor and empress had only been painted in 1974, as a crown prince and princess, while there are 31 portraits of previous imperial couples from the Meiji era (1868-1912), according to the agency.